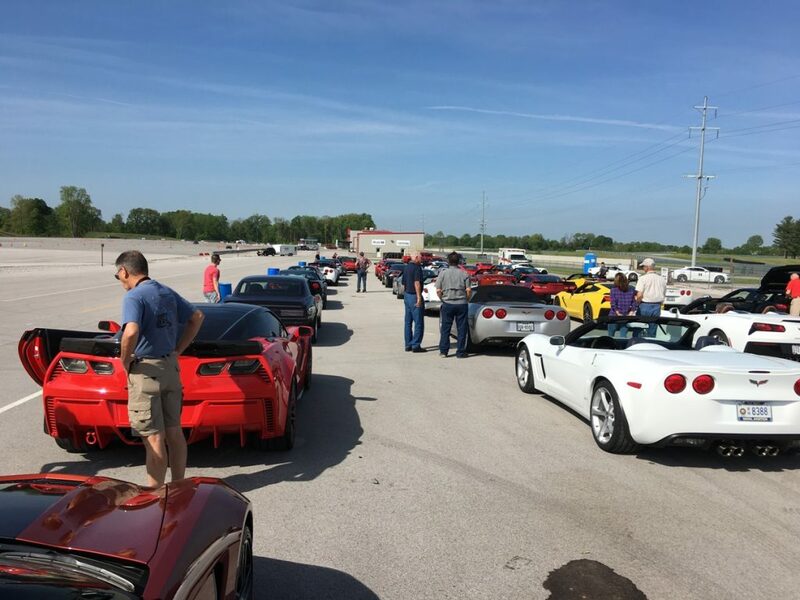 Several club members joined Frank and Laura Sancineto on a club trip to the National Corvette Museum in April. But they got off to a very rough start. First it started pouring rain when they left Raleigh and then they were stranded for 3 1/2 to 4 hours on I-40 just short of Tennessee behind a tractor trailer that had turned over. 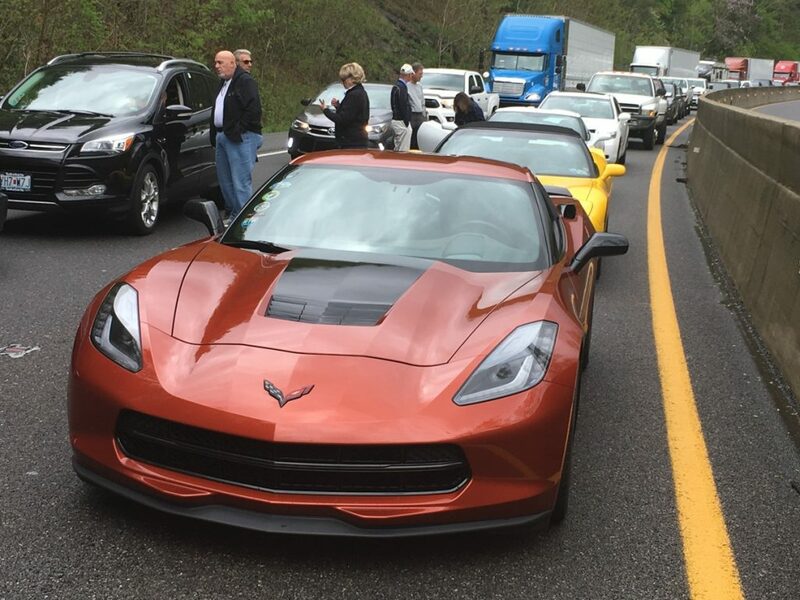 But, Sandra Silberman always finds the silver lining – hey we had a Corvette show right on the interstate. People were getting out of their cars and coming over to look at our gorgeous rides. They finally started moving again – only to get stuck for half an hour inside a tunnel – nothing like smelling exhaust fumes in an enclosed space. But, it was well worth the trouble of getting there. George Williamson’s excitement over the event was palpable. I’m not sure if he was more excited about the experience of seeing a museum delivery and watching the LT4 engines being built or the fact that he took his wife Sandra to the airport as she had to work for a day – leaving him all alone to speed around the museum track. 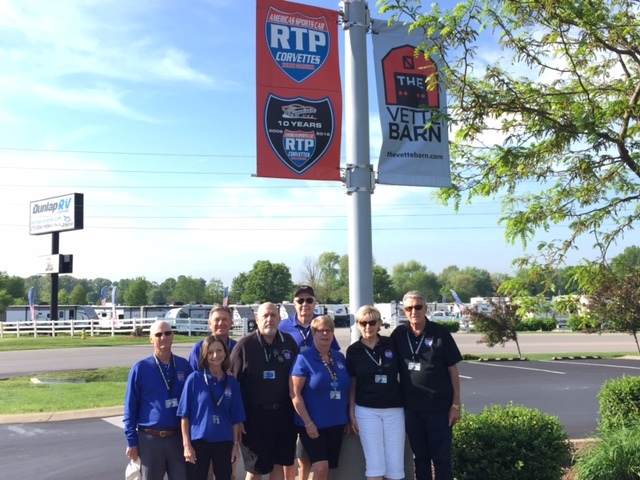 He got about 9 opportunities to go around behind the Pace car – for only $90! 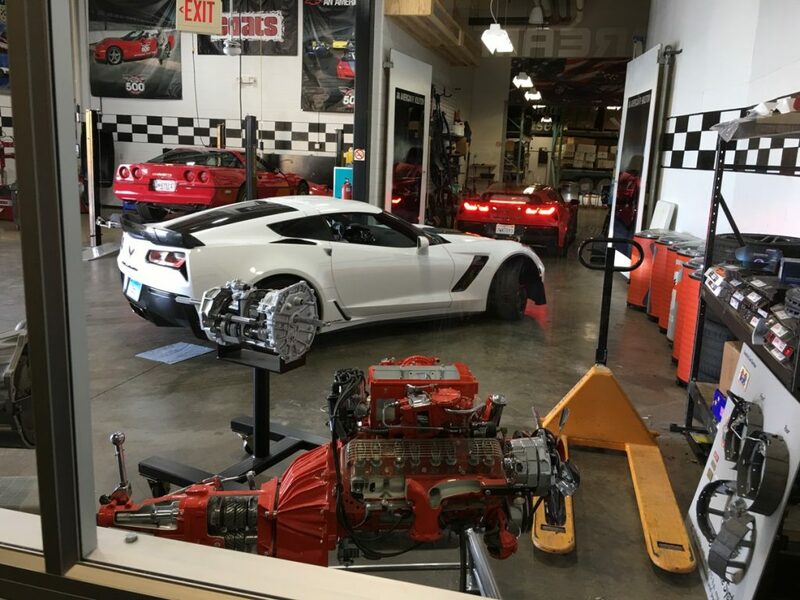 Loni Waters was thrilled, as she got to start a Corvette coming off the assembly line for the first time when they did the production line tour. She was given the birth certificate for the car. Sandra talked about the Ladies Garage which is led by female engineers and winning the contest for “Name that Thing”. Instead of giving it a “tool” or “engine part” name, she gave them proper names like “George”, “Napoleon”, etc. So she won for being the most original. Sandra really enjoyed the event as this was an opportunity to get to know other club members on a deeper level as you are spending more than just 2 hours with each other. It’s how you start to form lasting friendships.